Miller Restoration understands that when water invades your home, you need immediate action. On call 24/7/365, our certified restoration team will arrive promptly, assess the extent of your water damage in Narberth immediately and start water restoration right then and there. We have extensive experience servicing Narberth PA, whether you’ve discovered flooding from a broken or leaky pipe, damage from frozen pipes, a sink or toilet overflow, or a malfunctioning appliance like a water heater, washing machine, dishwasher or refrigerator in your home, or you’re a victim of basement water damage, our flood damage technicians are equipped to handle any problem of any size 24 hours, day or night. We are a water damage company servicing Narberth residents with residential and commercial water damage issues. If you are suffering from an emergency water damage situation, don’t hesitate, call Miller Restoration today at 610-688-2829. We can start your water damage repair immediately and get your life back on track. Narberth is located on a parcel of land originally deeded to Edward Rees (which later became “Prees” and eventually “Price”), who arrived from Wales in 1682. A portion of this original tract became the 100-acre farm of Edward R. Price, who founded Elm as a Quaker-friendly town in 1881. The town name changed to Narberth in 1893, and Narberth was incorporated in 1895. In 1995, the borough celebrated its 100th birthday with a year-long celebration. Today, Narberth is home to such attractions as the Narberth Community Library. Providing services to Narberth PA, including 19066, 19072, 19096. 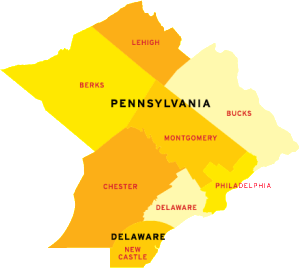 We also provide water services to areas such as Broomall PA and Drexel Hill PA.